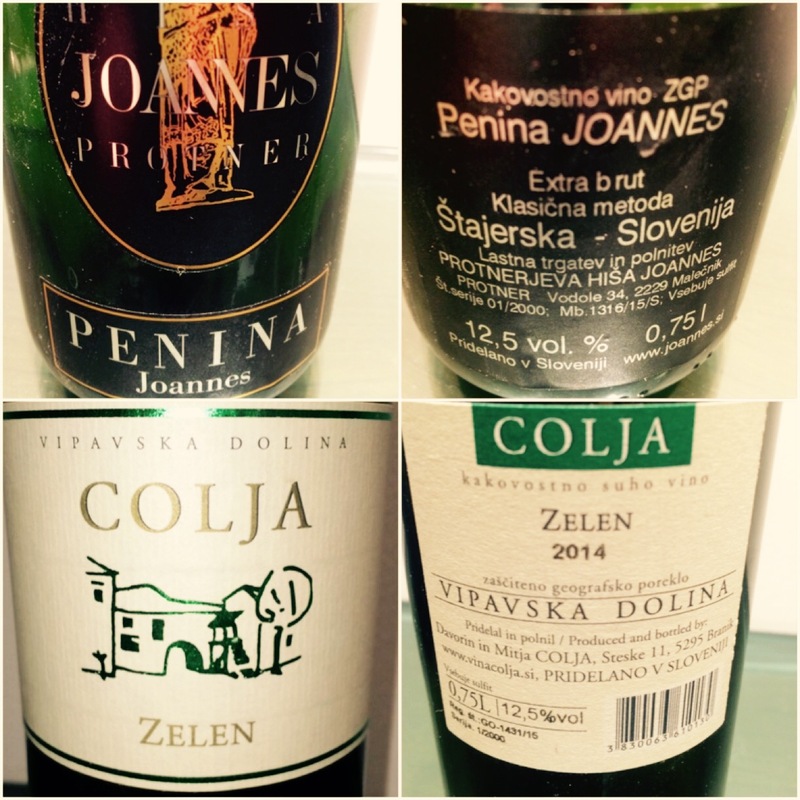 Home › Slovenian Wine › Slovenian Wines: A world waiting to be discovered. Slovenian Wines: A world waiting to be discovered. One of the perks of my job as a wine writer is getting a chance to taste wines which are not easily accessible. 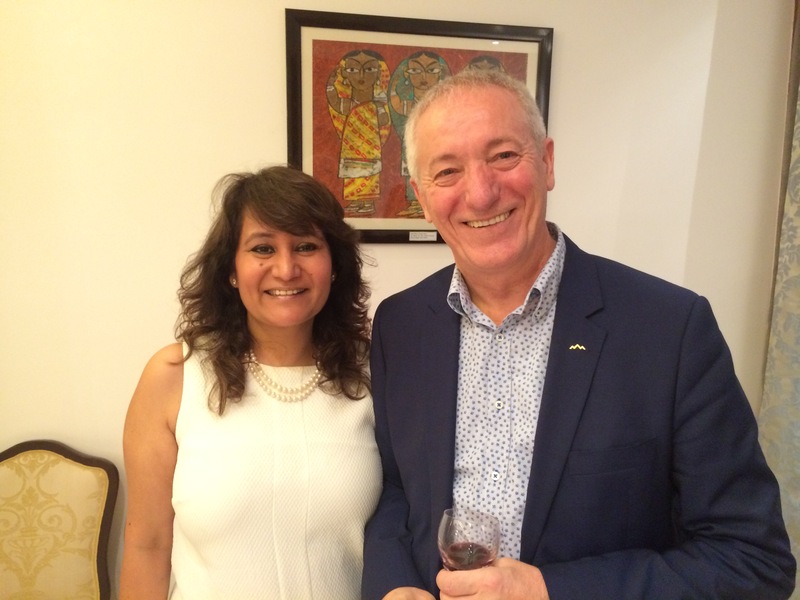 The other day I was invited by the Ambassador of Slovenia to India, H.E Jožef Drofenik, to try out wines from his country. He is a wine aficionado whose knowledge extends beyond the superficial to the technical aspects of wine. Slovenia, a Central European country known for its rich wine making history dating back to the Celts, makes some great wines especially whites. Wine critics & judges around the world have been bestowing awards on them in various competitions thus acknowledging their excellent quality. But how come the world does not know much about Slovenian wine? That’s because 95% of the wine produced is consumed within the country itself. Slovenia’s per capita wine consumption is one of the highest in the world at 40 litres per capita per annum. Compare that to India’s meagre 10ml per person per year. This just goes to show how well developed their wine culture is. It also points to a highly successful wine industry which really came into its own after Slovenia gained independence from Yugoslavia in 1991. 70% of the wine produced falls under quality & premium PDO (Protected Designation of Origin)category and only 30% is table wine. The only problem is that the wine industry is quite fragmented and there is no mass production. This small country has approximately 27,000 vine growers. Average holdings are therefore small or mid-sized very similar to Burgundy. Since most vine grows on steep slopes and harvesting is done manually, yields are small which results in better quality wine. Slovenia has one of the best terroirs in the world for wine production and an ideal climate for viticulture, hot summers and cool & wet winters. The three distinct wine regions are: Primorska in the west close to the Italian border, Alps & the Adriatic Sea; Podravje in the north east bordering Austria and Posavje in the south east bordering Croatia. Each region represents different climate types, Mediterranean, Alpine & Continental conditions. What is most exciting is that many winemakers are using traditional methods to make creative wines using indigenous grape varietals. Keeping up with the current taste trend, the whites especially are made in a crisp dry style using cold-fermentation, stainless steel maturation without leaving any unfermented sugars. A few winemakers are also experimenting with “Natural Wine” or as some call Orange Wine with exceptional results. These are white wines made by leaving the grape skins & seeds in contact with the juice creating an orange hue . No additives are used while making these, not even yeast. There is also a diversity of style in wine making and varietals are more popular than blends. To give an exposure to the different styles the Slovenian ambassador had chosen a sparkling, one white, a red and an off dry wine for the presentation. He spoke briefly about each of them explaining the style and the region they came from. The first was an Extra Brut Penina (Slovenian PDO for sparkling wine) from the winery Joannes Protner in Stajerska (North-eastern Slovenia bordering Austria) made in the traditional method where the second fermentation is done in the bottle. It was the Austrian archduke Johann of Habsburg-Lorraine who, in the year 1823, introduced noble vine varieties like Chardonnay, Sauvignon Blanc, Pinot Gris (Sivi Pinot), Pinot Blanc, Traminer, Muscat, Riesling (Renski Rizling) and Pinot Noir (Modri Pinot) in Slovenia on his property at Maribor, a historic wine centre. White wines, some of which are excellent & long-lived, account for majority of wine production in this region, Podravje. The sparkling that I tried was dry & very precise with fine perlage. Next was a medium-bodied dry white wine from Colja winery with complex aromas that I have not come across earlier. Made from an old Slovenian indigenous varietal called Zelen this came from the production area of Vipavska Dolina (south-western Slovenia). The acidity was not harsh hinting towards partial malolactic fermentation. It was a refreshing wine made using good technique displaying semi-aromatic varietal aromas. Just to help decipher the label a bit in case you are lucky to come across a bottle of Slovenian wine, all wines are designated as either suho (dry) polsuho (off dry) polsladko (semi-sweet) or sladko (sweet) according to residual sugar levels. The word “namizno vino” means table wine, “deželno vino” PGO or Vin de Pays or wine coming from a single region, “kakovostno vino” ZGP signifies quality wine and “vrhunsko vino” ZGP stands for premium quality wine. Last two come from a single district. The third was a Cabernet Sauvignon from Kristancic winery in Goriška Brda, Slovenia’s most esteemed wine district, heavily influenced its neighbour Italy in its style of wine-making. I found the wine supple with structured tannins & good acidity. The whites from this region are made in the Friulian tradition of dry & aromatic wines. 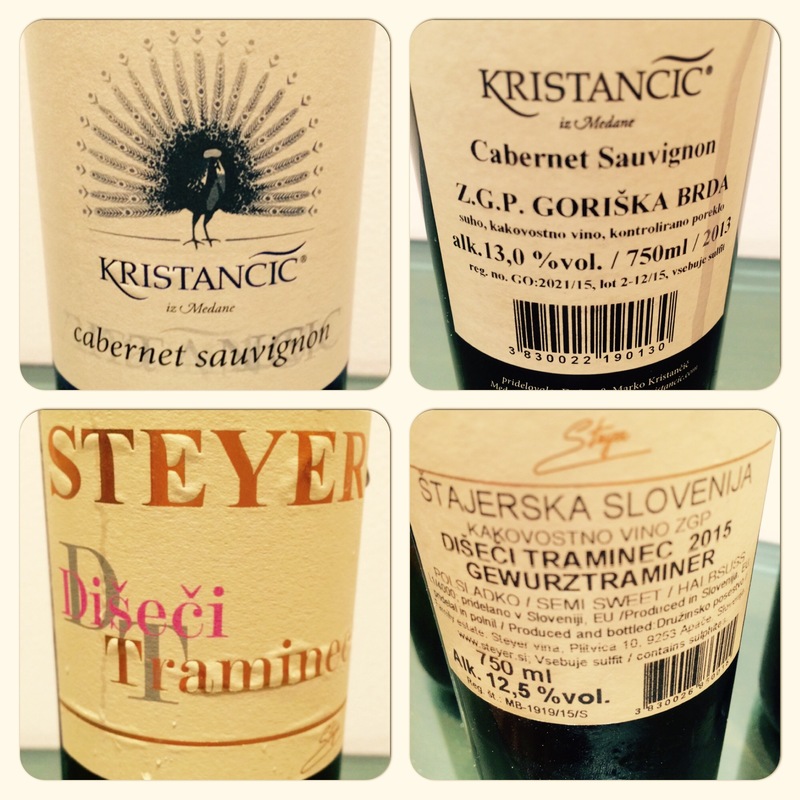 We ended with a semi-sweet Dišeci Traminec or Gewurztraminer from Steyer winery again from Stajerska which falls in Podravje, the largest wine region in Slovenia and known for its excellent white wines. The wine had a beautiful floral bouquet of roses and sweet spices and a good balance between sweetness & acidity. This is what I would call a wine for all occasions. There are so many gems to be unearthed in the world of wine and some of the wines from Slovenia as someone rightly said are “more the work of artisans than businessmen”. So has the time come for world to discover Slovenian wine? I would think so.